This is the end, Big N fans. Nintendo Power's final issue is upon us and in a surprise tip of the hat, the magazine's staff has decided to pay tribute to the famed cover that started it all. 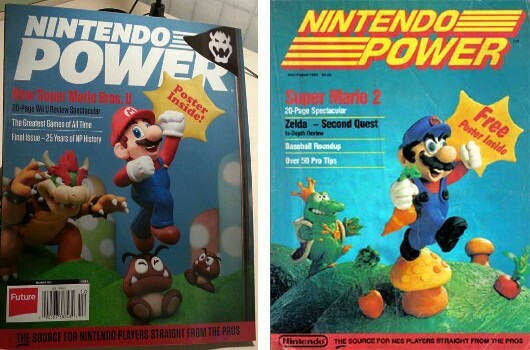 Framed in a similar manner to the inaugural issue from 1988, this last dance with all things officially Nintendo apes the Super Mario Bros. 2 clay-styled setup for a cover story on New Super Mario Bros. U. Look for it to hit newsstands one last time on December 11th, bringing the beloved decades-old publication full circle.